Brookfield, Wis. — raSmith received a 2018 State Finalist Award from the American Council of Engineering Companies (ACEC), Wisconsin Chapter, for the Taylor Hill water reservoir project. Sheboygan Water Utility contracted with raSmith to complete the structural evaluation and life cycle cost analysis of the Taylor Hill water reservoir in Sheboygan, Wis. The Utility needed to determine if the water reservoir, an 87-year-old historic structure, should be rehabilitated or completely replaced. With a 4 million-gallon capacity, the sizable structure is an integral part of Sheboygan’s water distribution system as well as an iconic structure within the City of Sheboygan. The Taylor Hill water reservoir evaluation project represents methodology that enabled the Utility to gain a quick understanding of the reservoir’s issues so that a cost-effective solution could be chosen based on reliable and highly accurate data. 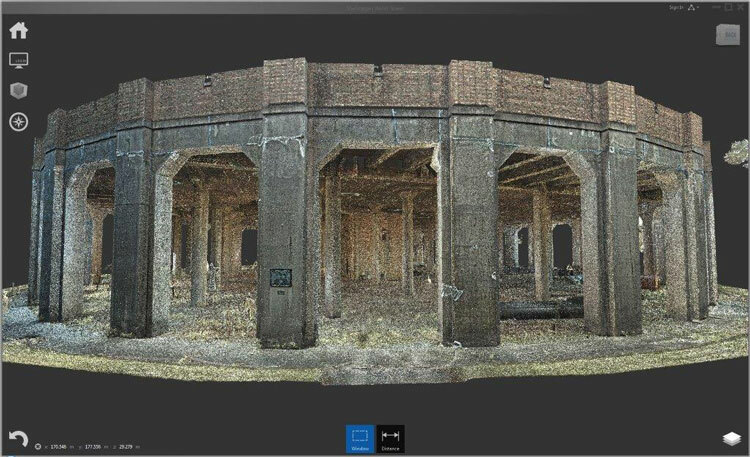 The exact methodology employed on this project, including a hands-on structural inspection, structural assessment, LiDAR scanning, and life cycle cost analysis and reporting, can be applied to many other structures of various sizes and complexities that require structural evaluation or rehabilitation. From the beginning, the project was viewed as an analysis, not a repair. The purpose was to evaluate rehabilitation and ongoing maintenance options. All deficiencies were evaluated and documented; alternatives were developed, which ranged from leaving the structure as is to complete demolition and replacement. Using the life cycle cost analysis, the Utility determined that the most sustainable and economical option was to repair portions of the reservoir. The evaluation and repair work will help maintain the city’s water distribution system as designed and ensure clean water within the community.